Opaque bronze black color. Aromas and flavors of anise cookie and honeyed raisin toast with a silky, soft, moderately sweet light-to-medium body and a warming, interesting, medium-length finish with suggestions of orange pepper, saffron, and sassafras finish. A elegant, nicely styled herb spice liqueur. Bottom Line: A elegant, nicely styled herb spice liqueur. 89 • Five Wives Vodka 40% (USA) $29.99. 92 • Madam Pattirini Gin 44% (USA) $23.99. 88 • Porter’s Fire Cinnamon Whiskey Liqueur 33.3% (USA) $16.99. 84 • Porter’s Peach Whiskey Liqueur 33.3% (USA) $18.99. 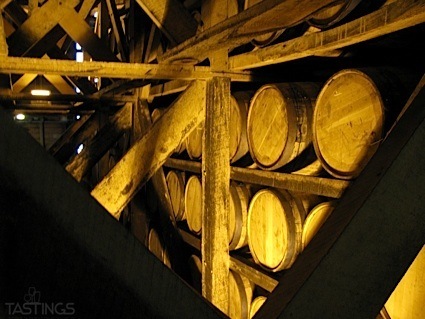 84 • Porter’s Apple Whiskey Liqueur 33.3% (USA) $18.99. 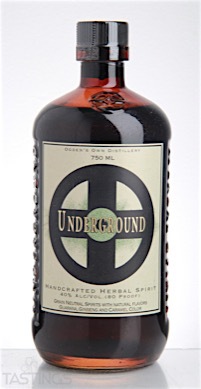 94 • Underground Herbal Spirit 40% (USA) $19.95. Underground Herbal Spirit rating was calculated by tastings.com to be 94 points out of 100 on 7/18/2016. Please note that MSRP may have changed since the date of our review.